Lark Energy has reshuffled its senior management team in a bid to focus its efforts on delivering subsidy-free solar and other energy projects. A number of senior hires and new appointments have taken place with Neil Dallamore, previously managing director of Lark Energy’s commercial division, appointed joint managing director of the entire Lark Energy business. Dallamore will work alongside current MD Paul Adams but retain previous responsibilities for product and revenue stream development. 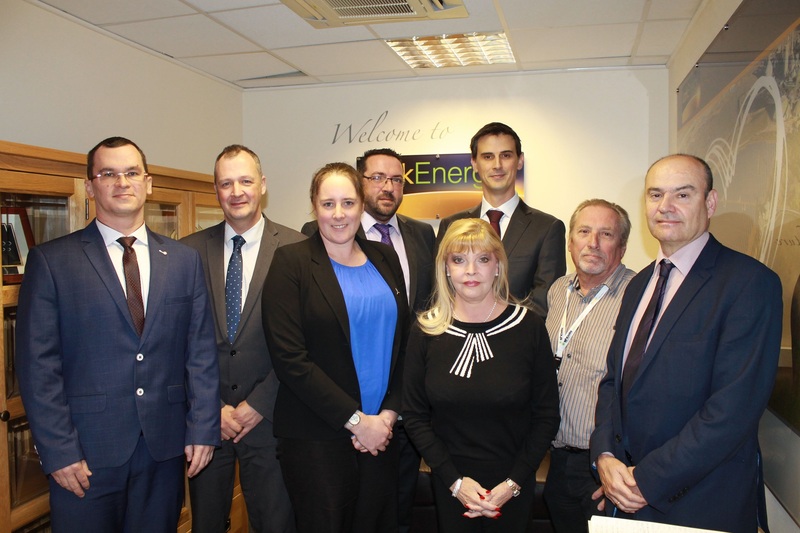 Meanwhile Chris Chadburn has been appointed finance director and Richard Jackson has been named as managing director of Lark Energy Services, combining the role with duties as a Lark Energy director. The reorganisation also includes the appointments of Kryzsztof Marek and Emma Rafaluk as group construction director and development director respectively. Rafaluk will also serve as a director of Lark Energy’s Irish subsidiary and VP of its US-facing business. The senior management team will continue to report into Lark Energy non-executive directors Karl and Helen Hick, the former of which is the CEO of Lark’s parent company Larkfleet. “These new appointments will provide Lark Energy with a senior team well placed to deliver the company’s diversification plans and to deal with the delivery of subsidy-free solar and embedded power generation projects thoughout the UK, Ireland and North America,” Adams said. Lark disclosed that its current work was focused a “significant number” of tenders in its pipeline, including several large projects, and a partner agreement with an unnamed energy broker which allowed it to offer savings on clients’ electricity and gas bills.